Commitment is a big part of what I am and what I believe. How committed are you to winning? How committed are you to being a good friend? To being trustworthy? To being successful? How committed are you to being a good father, a good teammate, a good role model? There's that moment every morning when you look in the mirror: Are you committed, or are you not? “College Majors Handbook with Real Career Paths and Payoffs” by Neeta P. Fogg, Ph.D., Paul E. Harrignton, Ed.D and several more. This book’s foundation is a U.S. Census Bureau study of 170,000 college graduates in 50 majors, a huge data base that gives you confidence in the accuracy of the authors’ observations and conclusions about the earnings of each major as well as future job and earnings projections for each category, a description of what the jobs entail, job satisfaction in each major and information on future education that is likely to be necessary to stay competitive. But the authors go further than just reciting statistics and discuss important steps a high school student needs to take before going to college. 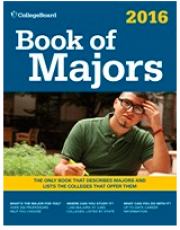 A good book to give a high school student or someone in college trying to decide on a career path a realistic assessment of what to expect if they graduate with one of these majors. Mr. Bok is the former president of Harvard University and an authority on the subject of higher education. This book takes a detailed look at what colleges do right and where they are falling short. He examines the entire range of higher education options including community colleges, small liberal arts colleges, large universities both public and private as well as their graduate schools. The book contains many studies and lots of data to back up the author’s statements. One of the most objective and well documented books on the subject of higher education that will be helpful for students and their parents as they plan for college.